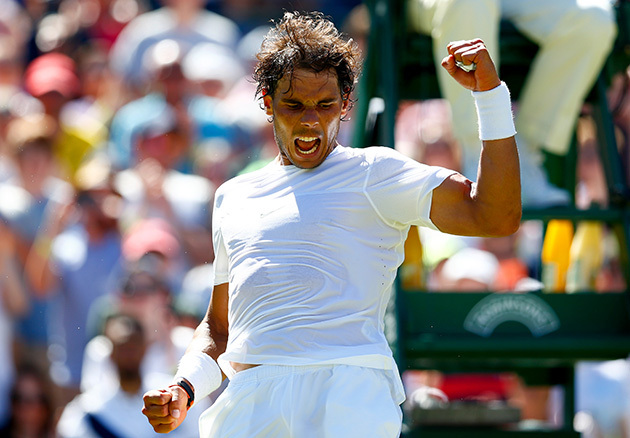 Petra Kvitova, Rafael Nadal and Roger Federer win openers at Wimbledon 2015. 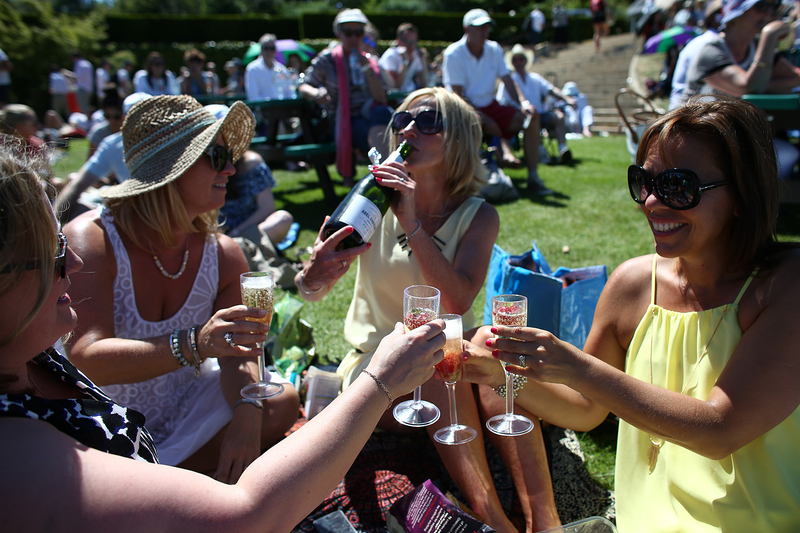 LONDON – Catch up on the news and results from Day 2 at Wimbledon 2015 at the All England Club. Eugenie Bouchard and Simona Halep crash out: All the signs were there that neither would have a great tournament, but few had them exiting so early. No. 12 Bouchard lost to Chinese qualifier Duan Ying-Ying 7-6, 6-4 and No. 3 Halep lost 5-7, 6-4, 6-3 to No. 103 Jana Cepelova. More on their losses here. Petra Kvitova wins in 35 minutes: With all the questions surrounding her lack of grass court matches before Wimbledon, No. 2 and defending champion Kvitova responded with a lightning-quick clinic. 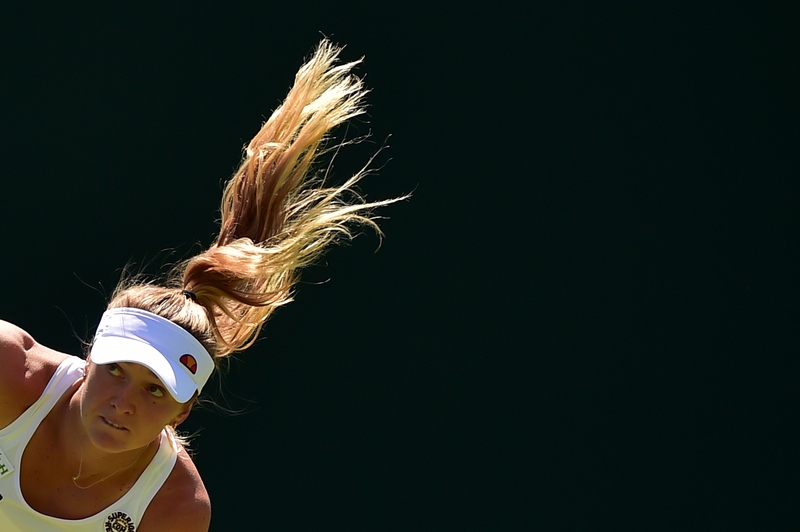 Kvitova needed just over half-an-hour to beat Kiki Bertens 6–1, 6–0. The key stat of the match: Kvitova won 28 of 29 points on her serve. The one point she lost? A double-fault. Kvitova gets Kurumi Nara in the second round. 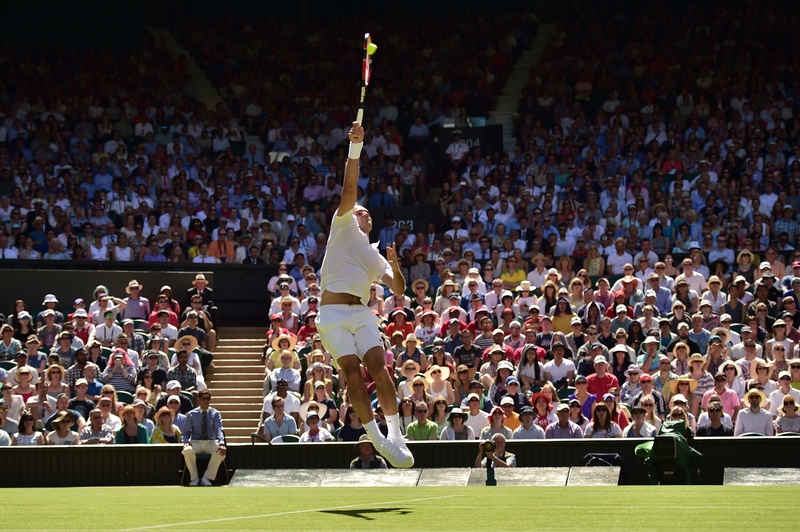 ​Roger Federer cruises to an easy win: The No. 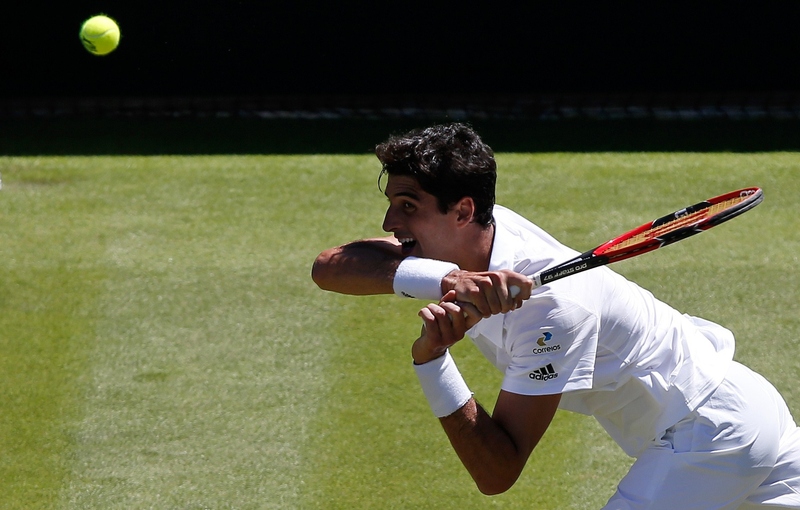 2 got a perfect light workout against Damir Dzumhur, winning 6–1, 6–3, 6–3 in just over an hour. His numbers were clean. 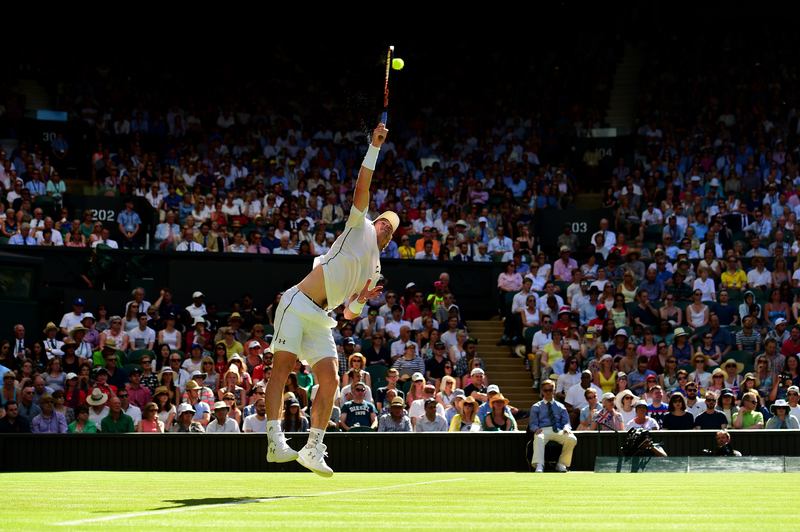 He fired six aces, no double-faults and never faced a break point. He hit 26 winners and 12 unforced errors. He plays Sam Querrey next. 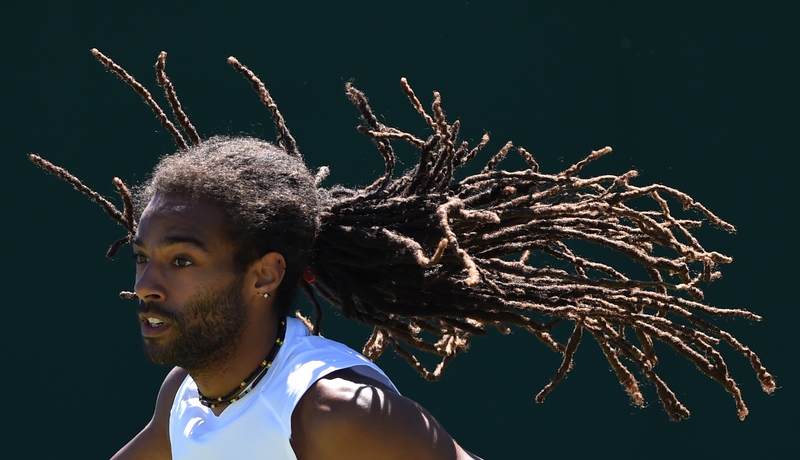 Rafael Nadal vows to improve after beating Thomaz Bellucci: Nadal won 6–4, 6–2, 6–4 in two hours and 11 minutes and he'll play the flashy German Dustin Brown in the second round. 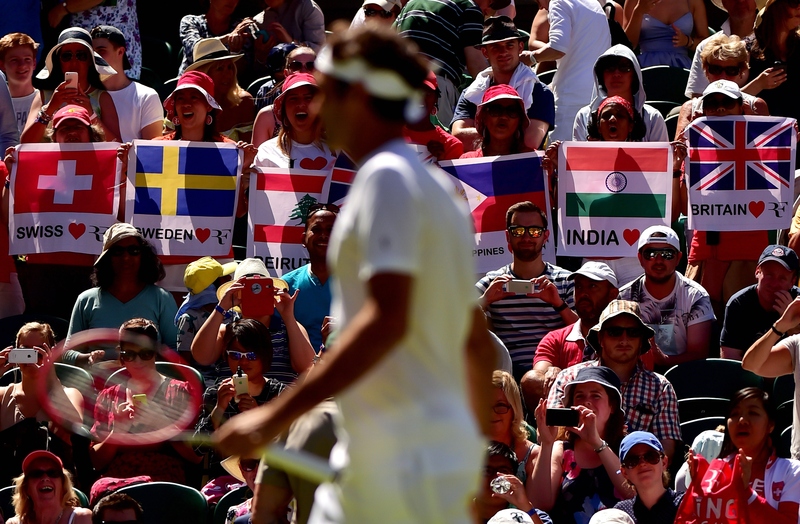 Nadal said he was happy with his first round but rued a few dicey service games that saw him have to face down six break points (he saved four). He also said he needs to be more aggressive with his forehand as the tournament progresses. 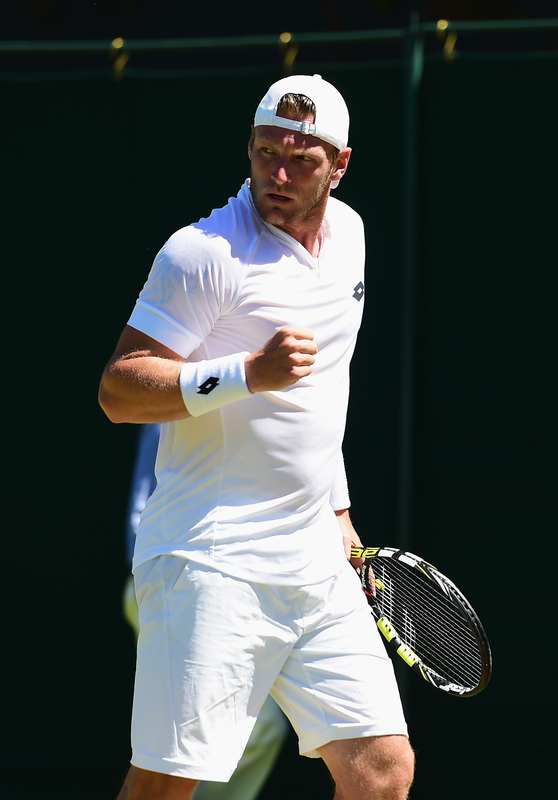 Jack Sock can't handle big Sam Groth: Seeded for the first time at a Slam, Sock bowed out to Australia's powerful Sam Groth 6–3, 3–6, 6–3, 6–3. Tim Smyczek and Varvara Lepchenko also lost in the first round. The sole American winner so far on Tuesday has been Sam Querrey. He'll face Federer in the second round. 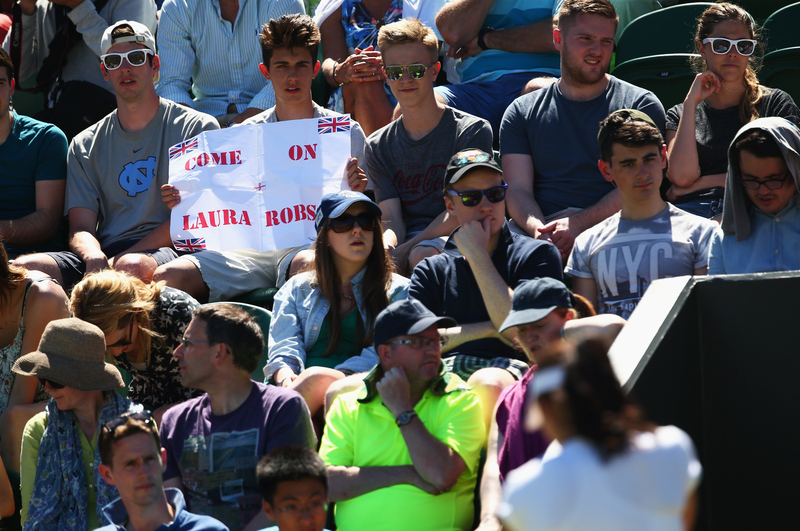 Laura Robson plays well, shows rust in first round loss: The idea of skipping Wimbledon for a second straight year due to injury just wasn't an option for the affable Brit, who had not played a main draw match since the 2014 Australian Open. After receiving a wildcard into the main draw, she competed well and showed flashes of why she's been a player to watch since she won the junior tournament when she was 14. In the end, the rust was too much—she hit 10 double-faults at the worst points in the match—and lost 6–4, 6–4 to Evgeniya Rodina. Tomas Berdych beats the light: Last year he lost to Marin Cilic in the latest finish to a match on an outside court at Wimbledon. This year he found himself in a better position as he led Jeremy Chardy two-sets to one as darkness began to fall. The two played through it and Berdych finally closed it out 6-2, 6-7, 7-6, 7-6 at 9:22pm. Borna Coric guts out another marathon win: The 18-year-old is quickly building a reputation as being one of the best competitors of the younger set. 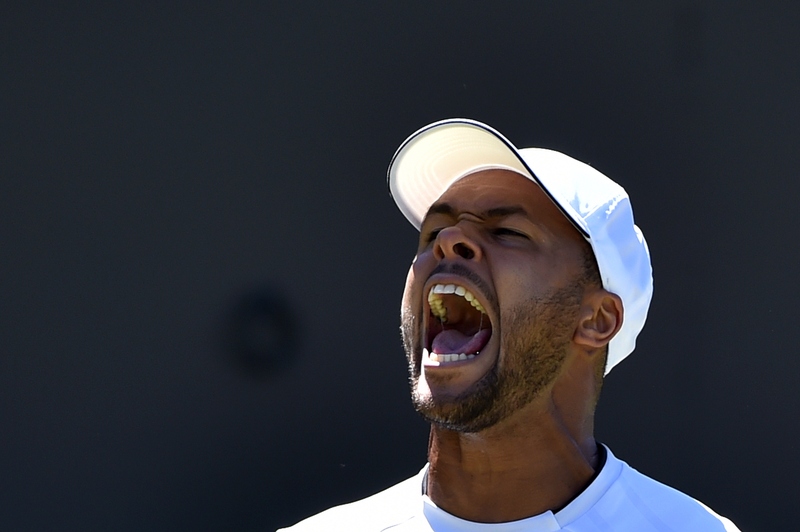 He overcame leg cramps to beat Sergiy Stakhovsky 4-6, 7-6, 6-2, 1-6, 9-7 in 3 hours and 55 minutes. Seeds go 52-10 through the first round: No. 21 Madison Keys' match was suspended for light at 2-2 in the third set against Stefanie Voegele. She's the only seed that has yet to finish their first round. The men's seeds went 27-4, with the four losses coming to No. 19 Tommy Robredo, No. 28 Pablo Cuevas, No. 29 Guillermo Garcia-Lopez, and No. 31 Jack Sock. The women's seeds went 25-6, with No. 3 Halep, No. 9 Carla Suarez Navarro, No. 12 Eugenie Bouchard, No. 24 Flavia Pennetta, No. 27 Barbora Strycova, and No. 32 Caroline Garcia losing. 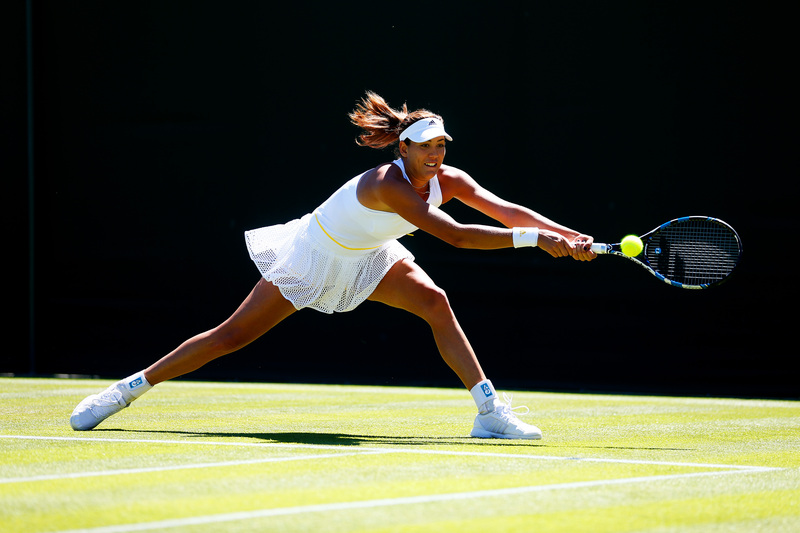 Sister, Sister: For the first time since 2008 Wimbledon, three pairs of sisters are into the third round of a major: Serena and Venus Williams, Agnieszka and Urszula Radwanska, and Karolina and Krystina Pliskova. Asked to describe himself in three words, Andy Murray goes with "boring, unfunny, and miserable".